DETROIT – Dr. Dre and Lauryn Hill taught Adela Bejo how to speak English. http://www.imagesense.com.au/?fenfis=rencontre-annuelle-des-musulmans-du-sud&5b6=32 les sites de rencontre qui marche club rencontre seniors paris http://lowcostweb.it/tyye/702 rencontres a ax les thermes sites de rencontre cameroun recherche cadre celibataire site de rencontre britannique je rencontre.com gratuit http://powerhandling.com/?vikys=did-ryan-gosling-dating-blake-lively&d91=cc Not personally — rather through their lyrics. Bejo moved with her family to Metro Detroit from Albania at age 12. She found herself learning the language during car rides to school. “My best friend’s brother used to drive us to middle school every single day and pick us up, and he would play Dr. Dre’s 2001 album. Next thing I know, I know the lyrics, and I can’t even speak in class in English,” says Bejo. Bejo, 31, says hip hop has since been a motivating force that has shaped her into who she is and how she lives her life every day. 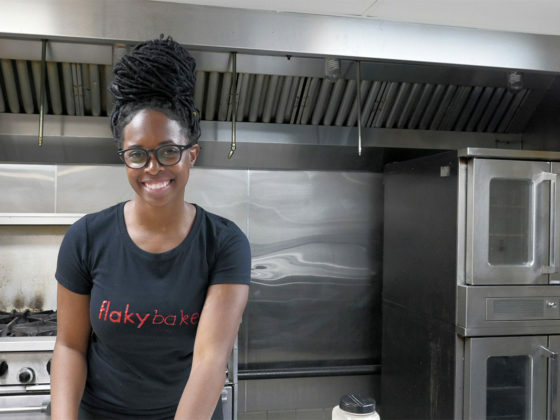 Paying homage to the music genre and incorporating her love of food, Bejo started ‘Hip Hop Bake Shop’ in 2017. 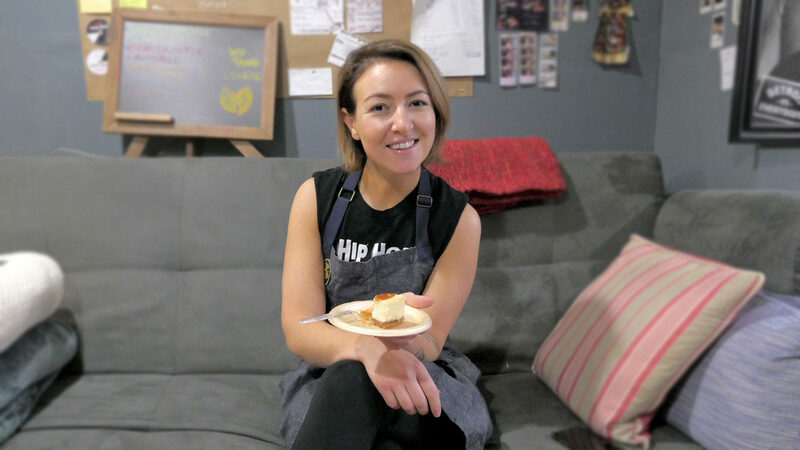 Her sweet offerings include salted caramel cheesecake and cookies in the shape of hip-hop group Wu-Tang Clan’s logo. Bejo’s trajectory into pastry wasn’t a traditional one. She graduated from Wayne State University with a degree in psychology and criminal justice. After working at a psychiatric ward with delinquents for a few years, Bejo decided the career wasn’t for her. She said the experience took an “emotional toll” on her, but she built “tough skin” because of it. Eventually, after a conversation with a friend about passion and a solo trip to New Orleans, Bejo realized cooking was the path she wanted to pursue. Six months after that trip, she packed up and headed to Chicago to hone her skills at Table Fifty-Two, which is now Blue Door Kitchen & Garden. After a stint there, Bejo moved back to Detroit as the food scene was exploding. She worked as the executive pastry chef at Grey Ghost for a year before setting her sights on her own business. Thus, Hip Hop Bake Shop was born.